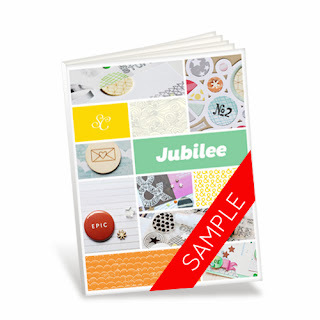 The E-book is called Jubilee, and it comes with a super cute kit that is perfect for card making / scrapping / project life. 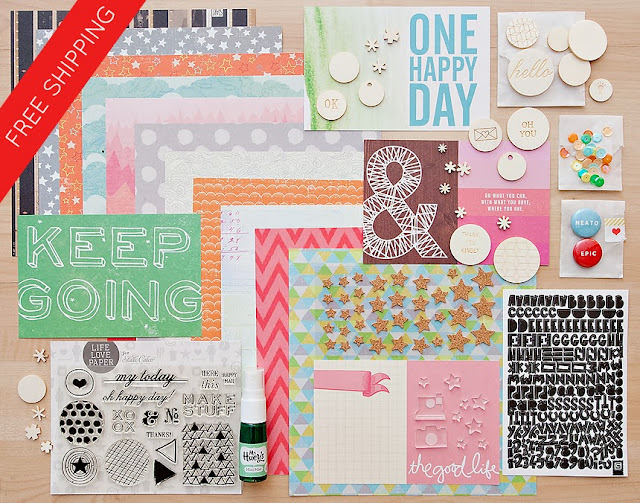 Look at all the cute embellies and papers and lovely stamps. OK - so here are the details about the book. If you order between now and 17th November, you get it at a discounted price of $34.99 plus free shipping (International shipping too! Yay). After the 17th, the price is $39.99 with free shipping. Click HERE to see all the details. Looking good and great kit.